Full of pumpkin flavor and with just the right amount of spice, these 15 Healthiest Fall Pumpkin Desserts will satisfy all your fall pumpkin cravings but without any guilt. All these recipes are refined sugar-free, made with only HEALTHY wholesome ingredients. Perfect for THANKSGIVING and Holidays! Halloween is few days behind us, but that doesn’t mean pumpkin season is over. Pumpkins have some pretty impressive health benefits, and we should enjoy sweet pumpkins as long as we can. Plus, Thanksgiving is just around the corner, and I know you looking for some pumpkin desserts inspiration to serve to your guest and family. But before you dig one last time into pumpkins let me remind you that pumpkin desserts can be healthy. That’s why I gathered 15 Healthiest Fall Pumpkin Desserts from my food bloggers friends. 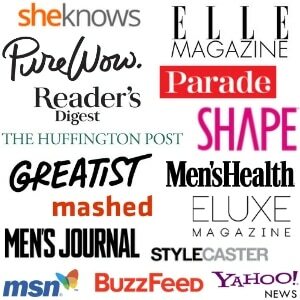 All these recipes are refined sugar-free, made with only HEALTHY wholesome ingredients. Muffins, cookies, no bake treats, cakes… all these healthy pumpkin desserts will satisfy your fall pumpkin cravings but without any guilt. + These are all perfect for your Thanksgiving table! #1 Pumpkin Cheesecake Muffins – Soft and deliciously sweet, these Pumpkin Cheesecake Muffins are seriously THE BEST thing this Fall. These muffins are made with ALL HEALTHY ingredients and they are REFINED SUGAR-FREE. #2 Pumpkin Oatmeal Cookies – These cookies are filled with beautiful spices and crunchy peanuts and drizzled with chocolate. Wholesome and REFINED SUGAR-FREE. Perfect treat! 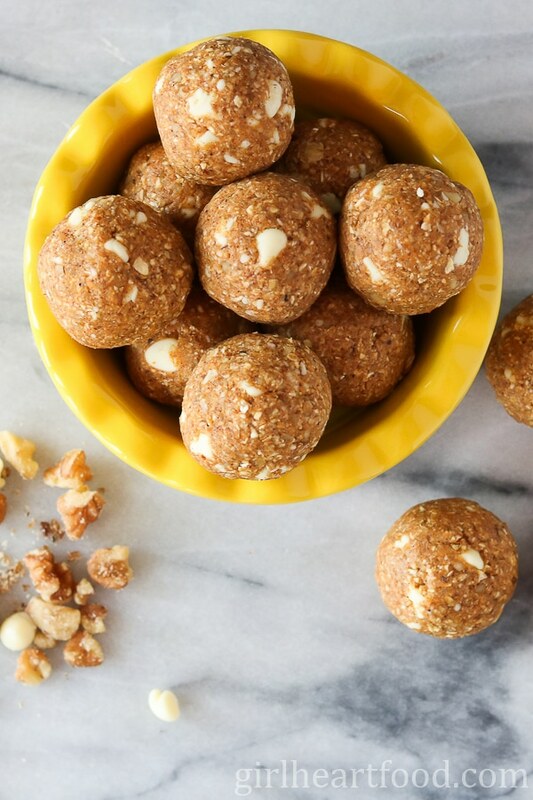 #3 Pumpkin Pie Energy Balls – Soft, fragrant and deliciously sweet Pumpkin Pie Energy Balls are the perfect grab-and-go snack. These raw bites are loaded with beautiful Fall flavors and nutritious ingredients. #4 Pumpkin Roll Cake – Tender, light and flavorful, this Pumpkin Roll Cake with a maple cream cheese filling is perfect festive holiday dessert! It’s made with all HEALTHY nutritious ingredients, low-calorie and refined sugar-free. #5 Pumpkin Seeds Energy Balls – These energy balls are very nutritious, full of fibers, proteins, and healthy plant-based omega-3s. An ideal healthy snack between meals. 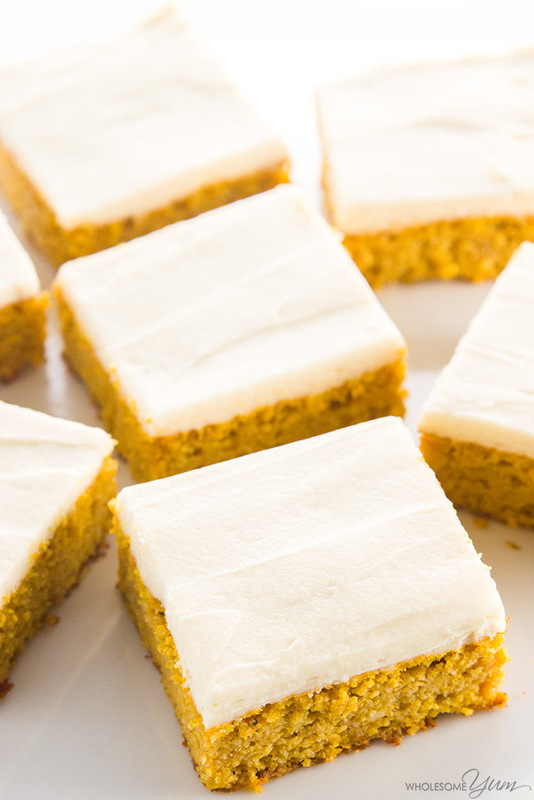 #6 Pumpkin Bars – This easy pumpkin bars recipe with canned pumpkin & cream cheese frosting is gluten-free & low carb, with healthy, natural ingredients. Just 10 min prep! 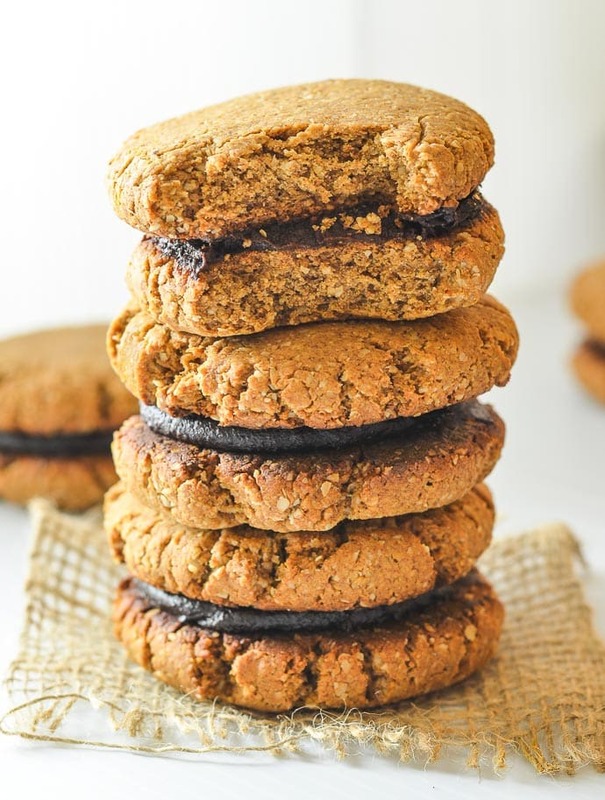 #7 Pumpkin Ginger Date Cookies – Perfectly tender & slightly chewy, these date-sweetened, super Healthy Pumpkin Ginger Date Cookies are perfect for snacking, refuelling or for when you want a healthier dessert. 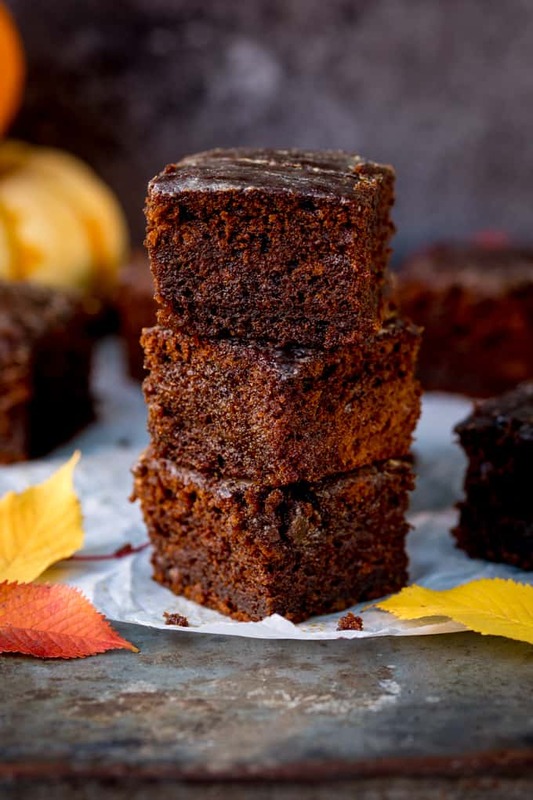 #8 Pumpkin Gingerbread Cake – this is bonfire night all wrapped up in one bite! #9 Oat and Honey Pumpkin Muffins – Gluten free oat and honey pumpkin muffins made with simple natural ingredients. Easy to make, the perfect healthy snack, nut free and dairy free too. 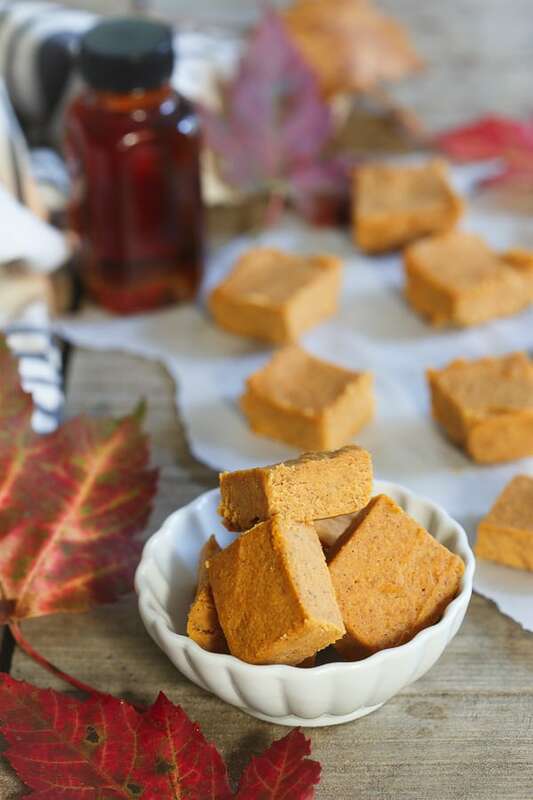 #10 Paleo Pumpkin Fudge – This paleo pumpkin pie fudge tastes just like the creamy center of a pumpkin pie and is the perfect way to indulge in a pumpkin treat this fall without all the added sugar. #11 No Bake Pumpkin Pie Bites – These No Bake Pumpkin Pie Bites are made with a few basic ingredients and are a fabulous way to use up that huge can of pumpkin puree you have hanging around in your fridge. 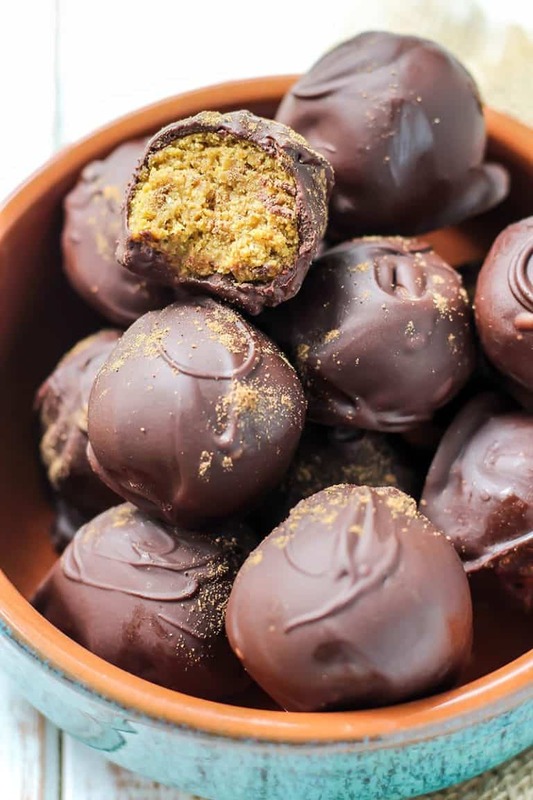 #12 Pumpkin Spice Latte Truffles – Your favorite fall drink transformed into a healthy chocolate treat! Made with plant protein blend for a superfood boost. #13 Pumpkin White Chocolate Cheesecake – This stunner you can make with only 6 ingredients and 3 easy steps and it’s vegan and gluten free for a healthy and delicious plant based indulgence. Yum! 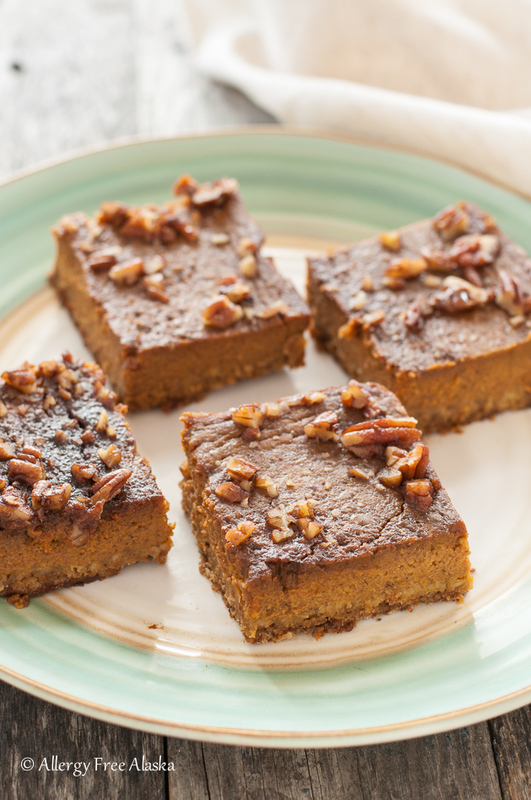 #14 Pumpkin Pie Bars – These bars are ideal for those of you who love pumpkin pie, but don’t necessarily enjoy making it. This delicious dessert serves nearly twice as many people as a single pie does, and there’s no crust to roll out. 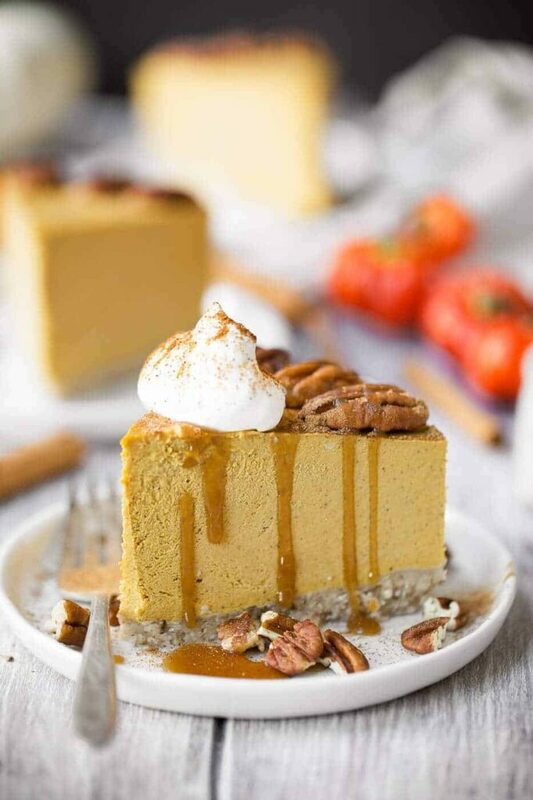 #15 Easy vegan pumpkin cheesecake– This easy and delicious cheesecake has the most delicious macadamia and pecan based crust, with a creamy pumpkin cashew center and the most decadent vegan caramel sauce on top. these look so delicious!! and i am sure my 11 yo will jump up at the chance for some fall baking..